Lenovo A6000 Specifications Features‎ Availability Price in India :- Few months back Lenovo unveiled Lenovo A6000 to compete against the like of Micromax, Xiaomi etc which are known for delivering higher end specifications at appreciably low price tag. And now the company is all set to make this 4G enabled handset without any registration available on popular online shopping portal Flipkart on this 23rd March. Initially this handset is available on Flipkart through Flash sale just like its protagonists do. It is available on every Wednesday. But this time there is no need of registeration and the handset will be on sale through 23rd March to 25th March. It is a really exciting offer for the ones who want to take in a 4G Enabled handset at mid-range. 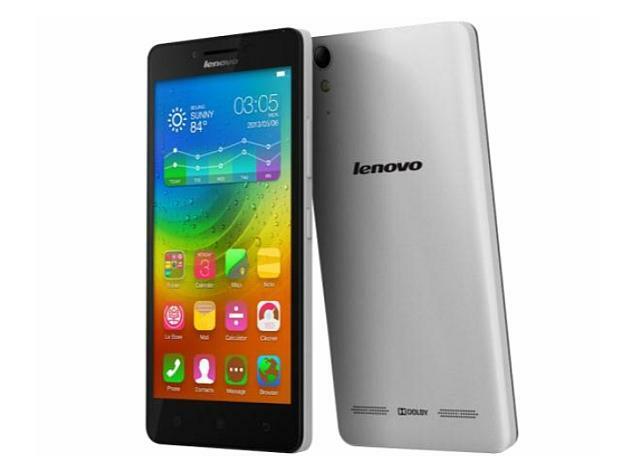 Lenovo A6000 boasts 5” IPS HD Display offering screen resolution of 720X1280 pixels. It comes up with around 69.8% screen to body ratio and offers pixel density of 294ppi. 5” HD IPS display will offer crisp and sharp images and will be a good way on which one can enjoy their favorite movies or videos. Lenovo A6000 functions on Android Kitkat V 4.4.2 which may sounds out dated as already companies like Micromax, Xiaomi etc have started rolling out the devices with inbuilt Android 5.0 Lolipop. The OS is layered by Lenovo Vibe 2.0. It runs on Cortex A-53 quad core processor which is clocked at the frequency of 1.2GHz and is based on Qualcomm MSM8916 Snapdragon 410 chipset. To have enhanced graphics it accommodates Adreno 306 as GPU. Processor is paired along with 1GB of Internal RAM which can deliver glitch free performance. It sports 8MP of rear camera which comes up with LED Flash and auto focus and offer features like geo-tagging, touch focus etc. It flaunts 2MP of front snapper which can be used for clicking selfies or to establish video calls. It bears 8GB of memory on-board and with external memory expandable up to 32GB. It can easily offer good storage backup to store all your images, videos, songs etc. It houses 2300mah battery at the rear claiming talk time up to 22h on 2G and 13h on 3Gand stand by time up to 264h on both 3G as well as 2G. It bear connectivity options like Bluetooth, GPS, FM Radio, WiFi 802.11 b/g/n, hotspot, Micro USB V2.0 etc. it includes accelerometer and proximity as sensors. Lenovo A6000 is available at the price of Rs 6,999 and it is yet another budgeted phone. It can be stood well against its companion like Xiaomi Redmi 2 or Moto E 2nd Generation as these both are 4G enabled handsets. Clearly Lenovo A6000 has been sold in large number and we can expect this Big App Shopping Days to increase the number only. But definitely At this price it is a deal worth to be made. Hitherto, the company has managed to sell about 1,80,000 units of this handset. But now this device will be associated with the big app shopping days promotion. Flipkart has offered discount on purchase which will be made by this app. If you really like this awesome article of “Samsung launch Galaxy S6 & Galaxy S6 Edge in India Specs Price Release date“. Aim of our website is to provide you complete real and true details of this new latest smartphone. If you really like this awesome article then share with your friends from the share this option given below in green box.